The 900Global Boo-Yah! 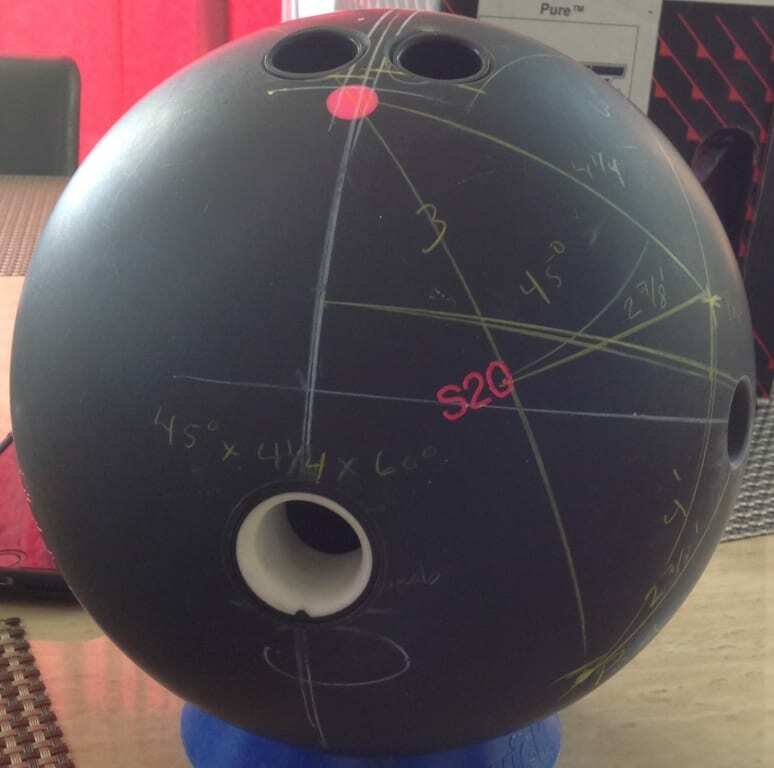 bowling ball was created to provide the tools that tournament bowlers need. This ball uses a S20 Solid Urethane coverstock that offers early reaction and extraordinary control on drier lane conditions. The Y-Core is a high RG and low Diff symmetric core that brings late revs and low flare. 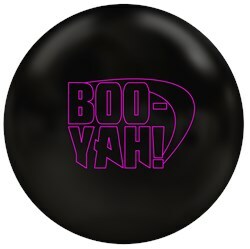 Anyone who knows me knows how much I like using urethane and the 900 Global Boo Yah! is as good as any urethane ball on the market today. It's clean through the heads with a smooth, strong down lane motion which makes it a great choice for shrot patterns and drier patterns. And the ball rolls through the pins very well. In fact, the first game of competition where I used the Boo Yah! was 300 on cheetah. No wonder I've already drilled two of them! Drill up a Boo Yah! and you won't be sorry. The Boo-Yah fits right in with the rest of the 900 Global equipment! And, it's my first urethane ball in 20 years! This video was created with a relatively strong layout, and was the first time the ball had touched the lanes. I was quite surprised and impressed at how much the ball moved off the breakpoint. This ball is a masterpiece of length and "pop" off the spot! ! When the lanes are simply too tough for the reactive resins, this ball will allow you to control those spotty areas and still hit the pocket with energy; you're only reaction to your opponents will be "BOO-YAH!" I drilled the Boo Yah for a league where the lanes blow up around the 3rd game. Layout: 80 x 5 1/2 x 70 (axis 4 over up 1/2; 300 revs, 16.7 mph) Ball clears heads and looks great off point. Definitely saves the day when lanes get dry. A must for tough shots! Drilled my BOO-YAH right over label, pin down. Happy to see a urethane ball from Global and was surprised by the aggressive reaction out of box. Hooked up a little quick for my speed. Took 4000 T pad to it and it became a flashback of my junior league days throwing a Faball Black Hammer! Smooth and consistent with still enough pop to get the 10 out! Should be an awesome ball on torched conditions. Could jam it and get away with a little 5 board swing. Light pocket was strikes all day. AND I can use it as a spare ball as well. Took it to the Luster King for a 2 minute shine and saw a skid/pop reaction Let me move about 3 and 2 right with my feet once polished.. Either way this ball is a winner when the lanes get tough and you need to grind. When I first heard of this release I initially thought that this would be my new spare ball because my plastic ball has seen better days. After testing this one I have a new spare ball and then some. Throughout the summer months, the local center that I practice in cuts their oil units in half. Needless to say if you go to practice you are either combating over/under or watching everything roll out. When using the Boo Ya it smoothed out the over under reaction and was continuous through the pin deck. This will by no means be the first ball out of your bag but if you are looking for that classic urethane reaction, something to combat wet/dry conditions or a new spare ball give this one a look. The 900 Global Boo-Yah is a fantastic ball when control is a necessity. The ball gives an incredibly predictable motion through the mid lane and down lane. It does have a fairly dull coverstock so there can be some early hook but it is quite easy to manage and the ball does a very good job of retaining enough energy to mix up the pins. This is a great ball for dealing with over/under, drier house patterns, and shorter sport patterns. Drilled my BOO-YAH with pin above bridge stacked. Great ball for when the heads go away. The balls urethane shell allows you to clear the heads with ease and still have a good strong backend. Also very good when bowling on wet-dry conditions. Another Great Addition to the 900Global line. This no ordinary urethane! This ball hooks but is extremely controllable & smooth off of the backend. 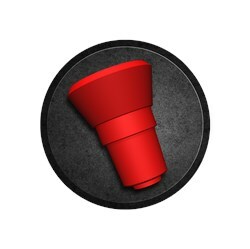 This ball can be used on both house & sport shots. 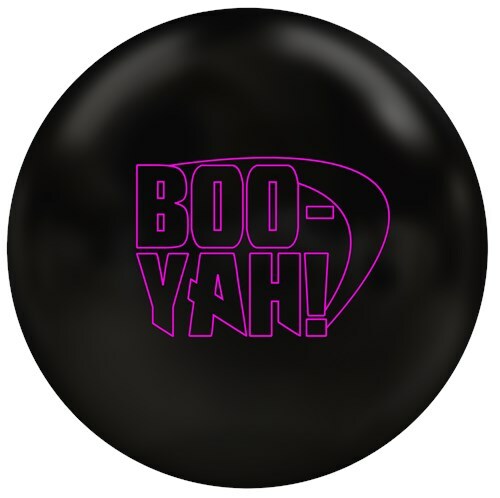 The Boo-Yah!, is a great urethane ball that you can use on these short sport patterns with great success. My first three games with it on Wolf pattern I shot 675. This ball gives you the type of smooth urethane reaction that you will need on these shorter sport patterns or when the lanes break down for higher rev and slower ball speed players. Also its a great ball to have to shoot your spares with also. This ball is a must have in your tournament arsenal especially. I left mine at OOB at 1000 grit. I layed this one out 45 x 4 x 35. My ball is speed is 15-16 mph and rev rate is 375. 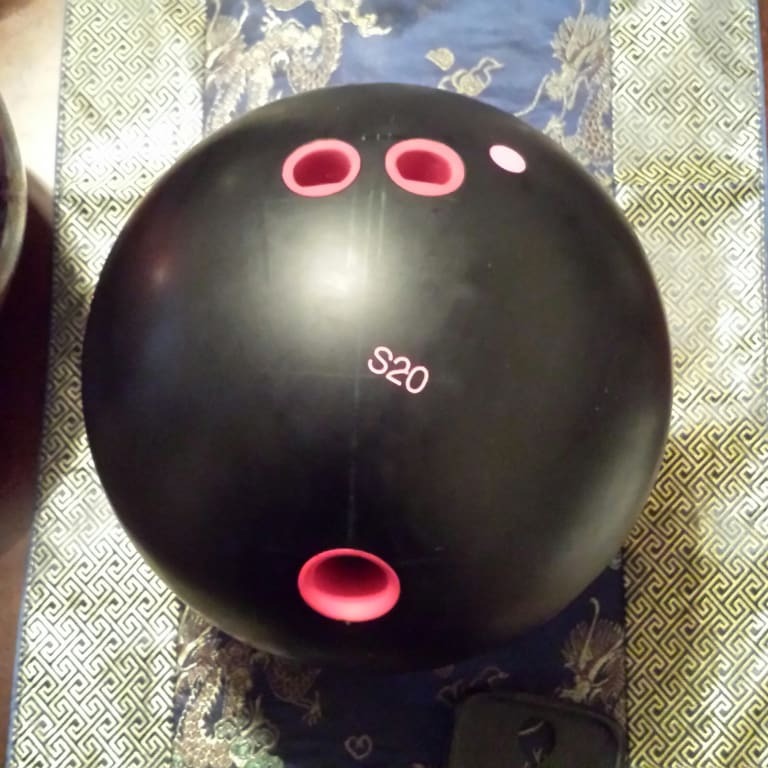 Thanks again 900 Global for giving us another a ball that is definitely needed for tournament bowling! I'm Still learning to throw this ball but it gets great traction and checks up. A perfect roll for shot paterns WET DRY and Reverse block. Due to the time it takes to produce the 900Global Boo-Yah! ball it will ship in immediately. We cannot ship this ball outside the United States.